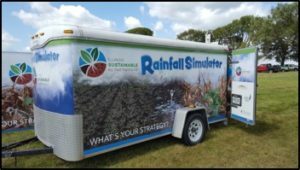 Interested in using ISAP's rainfall simulator for your next upcoming event or field day? Just SUBMIT THIS FORM using the category "Rainfall Simulator", date needed, and we will coordinate with YOU for being able to use this for FREE! Here's a short video of a mini rain-fall simulation.